The California Coastal Commission voted unanimously Tuesday to grant Southern California Edison a 20-year permit for an expanded nuclear waste storage facility at the San Onofre Nuclear Generating Station in northern San Diego County. Officials at Rosemead-based Edison, which operates and is the majority owner of the idled nuclear plant, said the current 14-year-old storage area is nearing capacity. SCE estimated that it will need up to 80 more steel-and-concrete-encased canisters, a technology known as dry storage. About two-thirds of San Onofre’s used fuel is currently stored on site in steel-lined, concrete storage pools known as wet storage. Environmental groups argued that it makes no sense to store the spent fuel right next to the shoreline in an earthquake-prone area. Edison, however, contended that a below-ground concrete monolith that will house the dry storage canisters exceeds state earthquake requirements, and will also be designed to protect against fire and tsunamis. Commission staff recommended that the permit be approved, in part because the federal Nuclear Regulatory Commission said it meets safety standards. Staff also said the federal government hasn’t been able to provide a location for spent nuclear fuel to be stored. A proposed site in Nevada has been held up for years because of still political opposition. “That’s the crux of the problem — the federal government has failed to designate a permanent repository for the spent nuclear fuel,” said Coastal Commissioner and San Diego County Supervisor Greg Cox. “It’s something they’ve been working on for 20 or more years, and it’s something that’s not unique to (San Onofre) — it’s something a number of other closed nuclear power plants across the country are having to deal with,” he said. 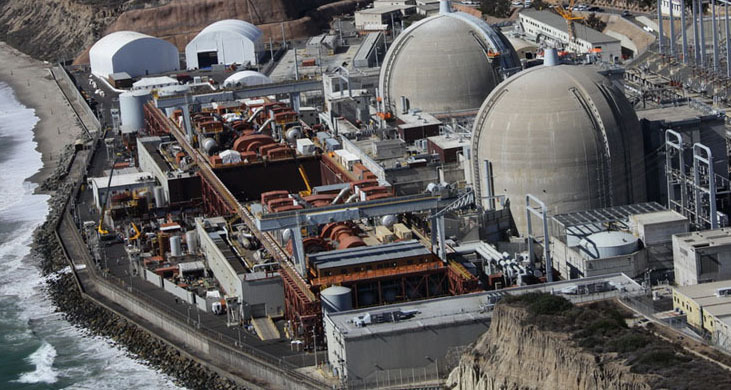 Separately from the vote, the commissioners asked staff to write the U.S. Department of Energy and other officials asking that the spent fuel be removed from the San Onofre plant as soon as possible. On Sept. 15, San Diego County supervisors approved a resolution that makes a similar request.